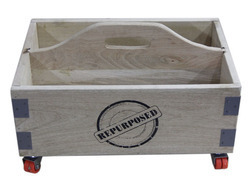 We offer to our clients an extensive range of wooden items which is made by using premium quality raw material. This large capacity trolley stores up to 60m of 13mm (1/2) hose or 45m of 16mm (5/8) hose. It is easy to assemble – snap and click, needs no tools. It has a sturdy frame with a rust and corrosion-resistant coating. Hose not included. Garden trolleys can be a great addition to any garden, patio, or porch. Trolleys are a four wheeled cart that is maneuvered by either pushing or pulling it. Some garden trolleys are available with sides that flip down. This style can be helpful with a number of different tasks you may do in the garden on a regular basis. Trolley means not having to struggle anymore with lifting large and heavy plants. This is convenient for those times that you want to rearrange your decorative plants, or clean your space. 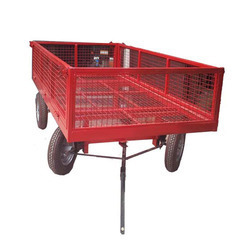 Our wide range of Garden trolley and industrial trolley are fabricated with UHMWPE material that is highly durable and ensure optimum efficiency.